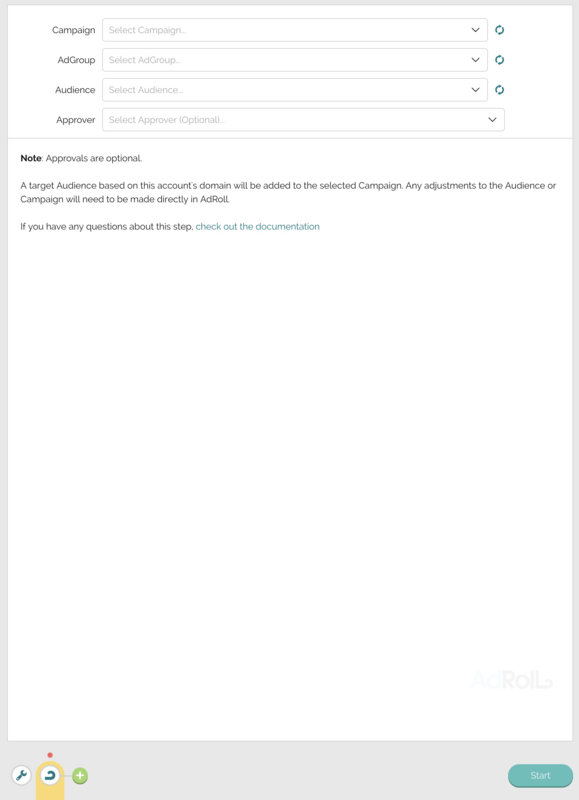 The RollWorks step in PlayMaker helps you create and add a new Audience to a selected AdGroup and Campaign. 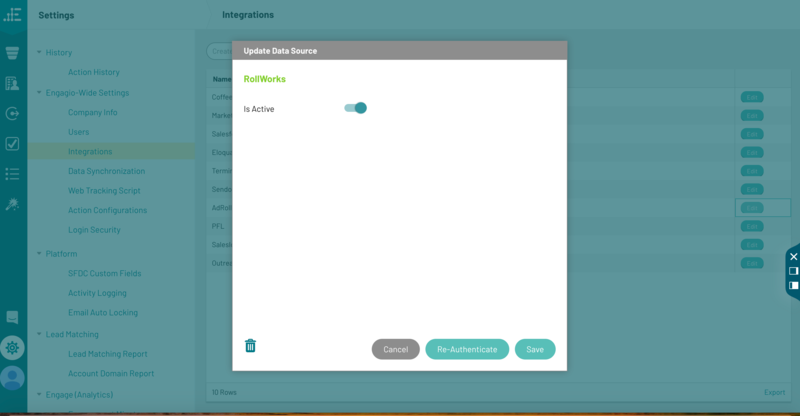 Important Note: This integration is only available to RollWorks customers. AdRoll is a tenant-level integration which an admin will need to set-up. Click on the "Create Data Source" button and select AdRoll. Confirm "Is Active" toggle is turned on and click the "Save" button. You will be redirected to log-into your RollWorks admin account. This step's purpose is to attach a domain and create a new Audience each time. 1. Select a Campaign from the dropdown. 2. Select an AdGroup from the dropdown. Option A. If no Audience is selected from the dropdown and it is left blank, Engagio will try and create a new Audience that consists of only the domain of the current account. Example: No Audience is selected, so Engagio will try and create a new Audience that consists only of the domain www.sesameworkshop.com. Option B. If an Audience is selected from the dropdown, Engagio will try and create a new Audience that consists of the parameters in the selected Audience + the domain of the current account. Example: Audience A is selected that consists of executives in the state of California, so Engagio will try and create a new Audience that consists of executives in California for the domain www.sesameworkshop.com. A unique Audience must be created each time. So, if the resulting Audience from this Step already exists in RollWorks, you will receive an error. The only way around this issue will be to manually delete that audience in RollWorks directly.